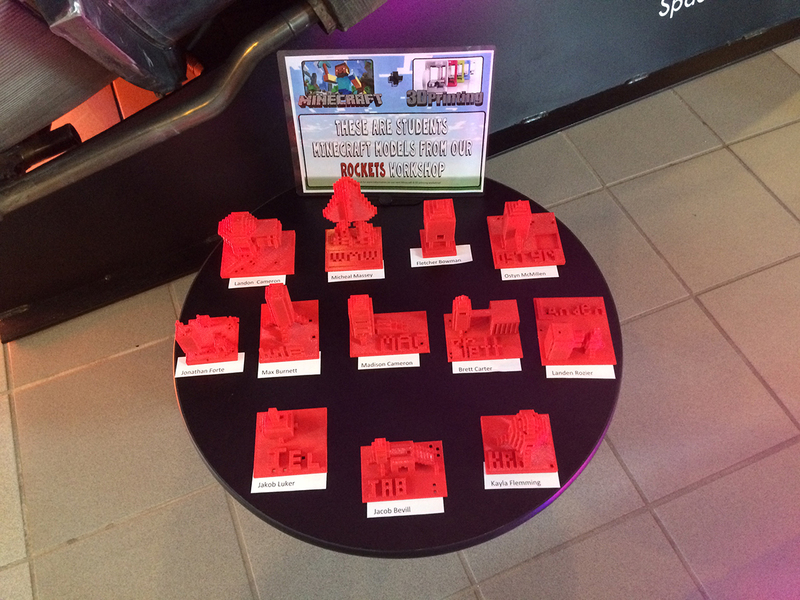 Had a “BLAST” with the students in the recent 3D Printing Rockets w/Minecraft workshop. They created some pretty amazing rockets! I created a program that fused MineCraft with 3D Printing. It was sold out within two weeks and I had enough interest for the next two programs!